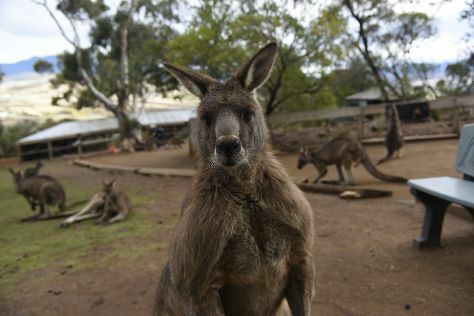 Explore Hobart's surroundings by going to Port Arthur (Port Arthur Historic Site & Three Capes Track) and Bonorong Wildlife Sanctuary (in Brighton). On the 23rd (Sun), give your taste buds a day to remember with a local gastronomic tour. The adventure continues: take your sightseeing to a higher altitude at Mount Wellington, engage your brain at Tasmanian Museum and Art Gallery, shop like a local with Salamanca Market, and take in the waterfront at Constitution Dock. Take the guesswork out of planning a Hobart vacation by using our trip itinerary maker. In December, plan for daily highs up to 24°C, and evening lows to 13°C. Finish your sightseeing early on the 27th (Thu) so you can travel back home. Start off your visit on the 28th (Fri): examine the collection at Morrisons Huon Pine Sawmill, then take in the dramatic scenery at Hogarth Falls, and then explore the activities along Lake St. Clair. Here are some ideas for day two: look for gifts at World Of Marbles, then experience rural life at Ashgrove Tasmanian Farm Cheese, and then explore the fascinating underground world of Gunns Plains Caves. 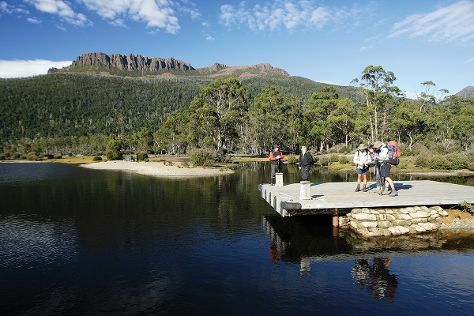 For ratings, where to stay, and more tourist information, read Cradle Mountain-Lake St. Clair National Park travel website . Drive from Hobart to Cradle Mountain-Lake St. Clair National Park in 5.5 hours. Alternatively, you can do a combination of bus and car. On the 30th (Sun), wrap the sightseeing up by early afternoon so you can drive back home.